The forest bath Anif – Kultlocation and pleasure region - is one of the most popular natural oases in the sunny south Salzburg's since decades. Located on crystal clear water, surrounded by old tree stands, you can enjoy nature in its original form. Distance ca. 7 km, Drive time ca. 10 min. This outdoor swimming pool has a separate non swimmer pool as well as a sport pool with a length of 50m. 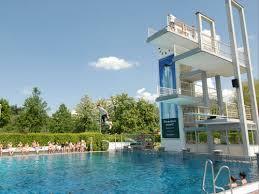 A 10m diving platform is also available. The pool offers a big water slide, starting blocks, a barrier-free settings, table tennis, a parent child area with a play field and a small slide, massage couches, massage jets, heated water, beach volleyball, a wide slide as well as gastronomy. 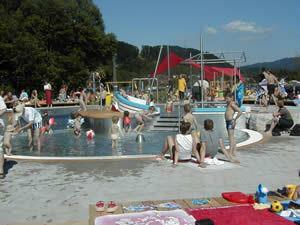 The national garden bath is the oldest and second largest outdoor swimming pool of the town. 12. 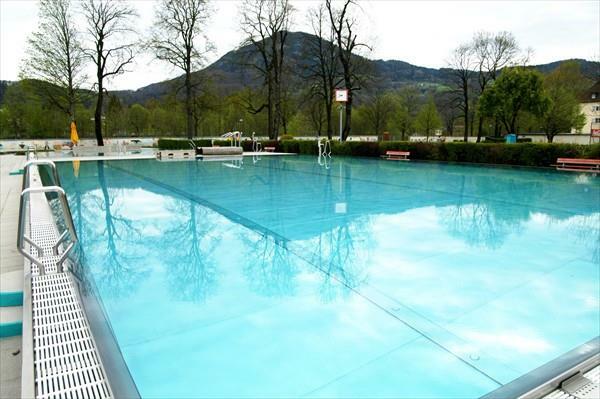 825 m ² base, two swimming pools, a child washbasin and a paddling pool offers the oldest outdoor swimming pool in the town. Table tennis, parlour games and volleyball fields complement the offer. In the national garden bath there is a disabled person's WC. The Beckenoberkante (water surface) is approx. 40 cm about the contact level. In this outdoor swimming pool there is no disabled person's lift. Distance ca. 6 km, Drive time ca. 10 min. Children's playground, sanitary arrangements, seasonal small boxes, refreshment bar, drinking well, hot-water showers, field Beachvolleyball, Slackline. Dogs forbade! Distance ca. 5 km, Drive time ca. 8 min. Distance ca. 15 km, Drive time ca. 25 min. The Lieferinger bath lake is the smallest lake of three Salzachseen in the Salzburg part of town of Liefering. 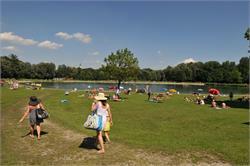 On a total area of the leisure area of about 90,000 m ² the bath lake takes a surface of 22,000 m ². The rest serves as a recreation area. It is fed exclusively by ground water and shows a maximum depth of three metres. The generous bath lake area offers generously invested couch surfaces to the relaxation and also for the bodily welfare is provided. 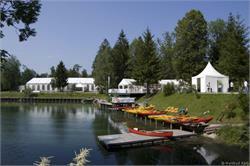 Showering and toilets, volleyball and football make the bath lake also for sporty attractive. 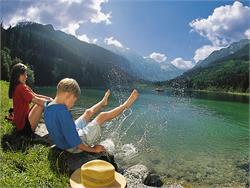 The not heated bath lake has a depth from up to 3 metres. Bringing of dogs and the fishing are forbidden! Distance ca. 23 km, Drive time ca. 20 min. Who would like to spend a wonderful summer day in a lake, goes in the nearby salt chamber property: Fuschlsee, lunar lake, Wolfgang's lake or Attersee are idyllic oases with small hidden places and big sunbathing areas for the whole family. Obertrumer See 25 km 34 Min. Mattsee 27 km 37 Min. Mondsee 48 km 31 Min. Fuschlsee 26 km 34 Min. Wolfgangsee 42 km 48 Min. Wiestalstausee 13 km 18 Min. Hintersee 27 km 40 Min.